Panama City, Panama, June 10, 2014. 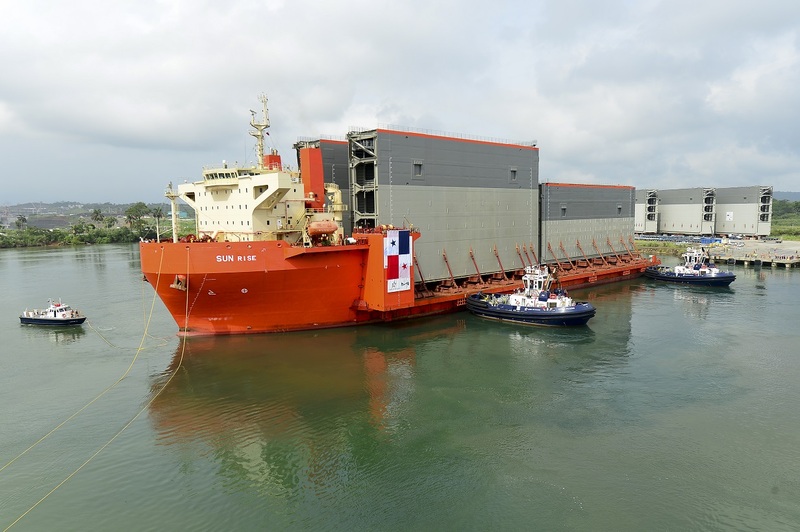 – In another step forward for the Panama Canal Expansion Program, the second shipment of four rolling gates for the Third Set of Locks arrived today from port of Trieste, Italy to the waterway’s Atlantic side on board the semi-submersible heavy-lift vessel STX Sun Rise. 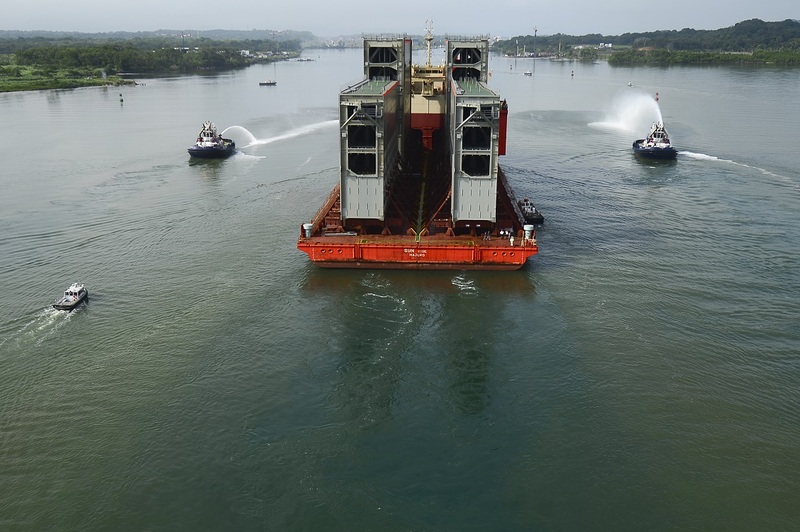 “This is another milestone as it completes half of the 16 gates that will be used in the new locks”, said the administrator of the Panama Canal Authority, Jorge Luis Quijano. 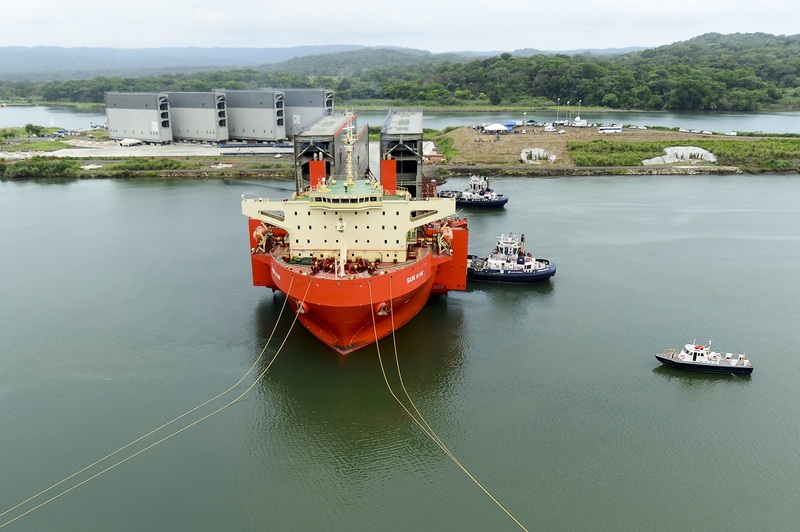 Following a nearly one-month long journey, the ship completed its second trip that began in mid-May in the Port of Trieste, crossing the Mediterranean Sea and the Atlantic Ocean. The taller ones or “Type C” were fabricated for lock head number 3 in the middle chamber of the Pacific locks. They are 57.6 meters long by 10 meters thick and 31.9 meters tall and weigh approximately 3,900 tons, with all internal appurtenances installed. The shorter ones or “Type A” will be located in lock head 1 in the Atlantic site’s upper chamber, adjacent to the lake. They are 57.6 meters long by 8 meters thick and 22.3 meters tall, and weigh approximately 2,300 tons. A total of 76.3 % percent progress has been achieved under the Canal Expansion Program as of May 31, 2014. 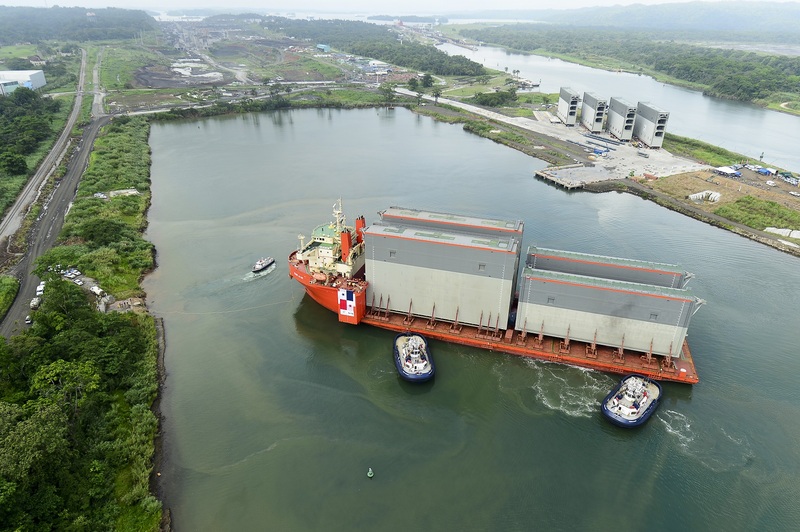 The ACP is the autonomous agency of the Government of Panama in charge of managing, operating and maintaining the Panama Canal. The operation of the ACP is based on its organic law and the regulations approved by its Board of Directors. For more information, please refer to the ACP’s website: http://www.pancanal.com/. 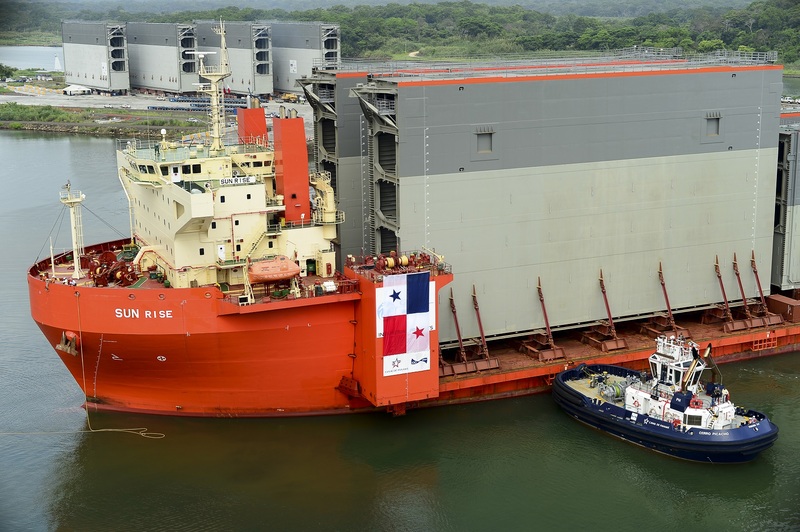 You can also follow us on Twitter @thepanamacanal.